The Samsung Galaxy Note 9 has leaked online in a new image that shows off the design of the new phablet that appears to stick to the lead of its predecessor, the Note 8. 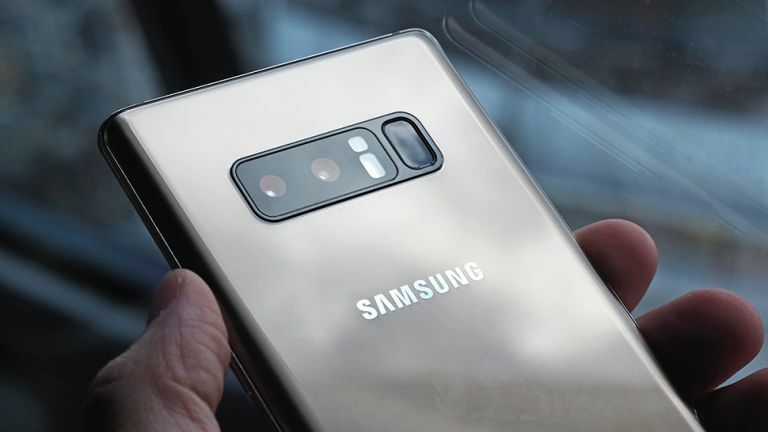 A new leaked image, courtesy of AndroidHeadlines, has appeared which allegedly shows off what the final design of the Note 9 will look like. As you can probably see, below, this doesn't stray far from the previous Note 8 – in fact it's near identical. The only difference that might be there is a smaller, or more flush, S Pen slot. The S Pen is rumoured to be the star of the Note 9 show thanks to new sensors and Bluetooth onboard. This could mean the stylus doubles as a wireless remote where the button triggers the camera, moves on a slide show and more. It could even be used as a controller when the phone is in a VR headset. Samsung was rumoured to place an ultrasonic under-screen fingerprint reader in the Note 9 but that now looks like it won't arrive until the Galaxy S10 launches early next year. Other specs expected include a 6.4-inch Super AMOLED display with 2960 x 1440 resolution, a Snapdragon 845 CPU, up to 8GB of RAM, dual 12MP rear cameras and an 8MP selfie snapper plus a 4,000mAh battery. Samsung should launch the Galaxy Note 9 at its Unpacked event on August 9 and is rumoured to be on sale as early as August 24.